Gen.G’s coach, Choi “Edgar” Woo-beom, held an AMA (Ask Me Anything) on the official League of Legends Reddit community today, and although he might not have meant to go after three-time World Champion Lee “Faker” Sang-hyeok with a comment, Faker’s probably still going to feel the burn. When asked who the best players from each position were, barring players from his own team, he had an answer for every single position—except mid lane. 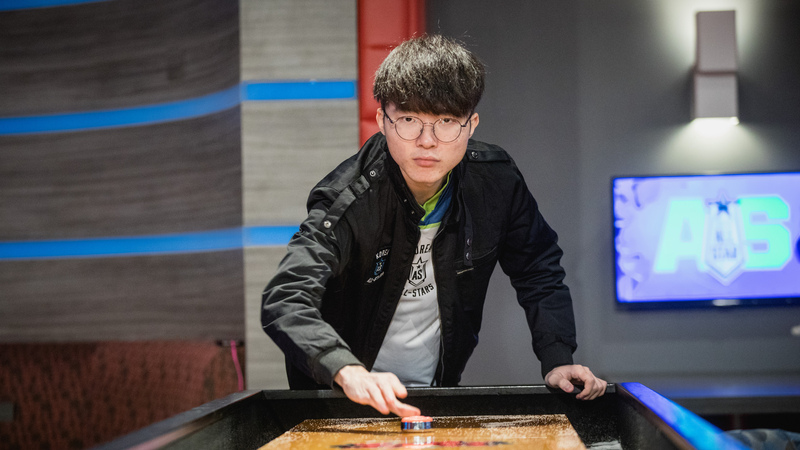 He rattled off names for the top, jungle, ADC, and support roles, but when it came to the mid lane, he said, “Nobody,” and then, “There isn’t a player that really comes to mind.” Oof. Whether or not he was kidding remains to be seen, but either way, that’s gotta sting. Faker’s team, SK Telecom T1, just wrapped up the second abysmal year in the franchise’s League career by not qualifying for Worlds. But for the most part, there weren’t really any doubters of Faker’s individual performance. This was especially true after the Asian Games, where he (almost) single-handedly carried Korea to a win. China still ended up the ultimate victor, but Faker looked good. After seeing that, the general consensus was that Faker is still a great player, he just looks worse when surrounded by players he doesn’t click with. To Edgar, though, Faker simply doesn’t stand out enough to be called the best anymore. Whether or not this is just the coach of a long-time rival team dishing out a healthy dose of smack, it certainly carries some weight considering Gen.G are the ones who knocked SKT out of Worlds contention on Sept. 12 in the regional gauntlet.